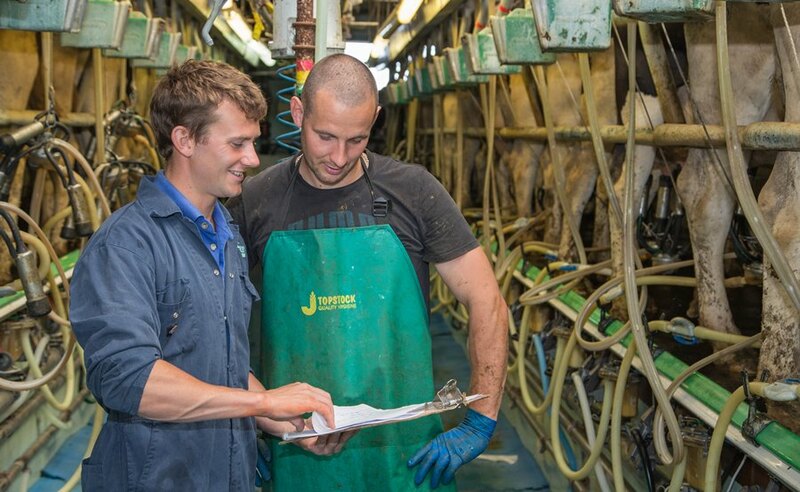 We visit the majority of our dairies on a weekly, fortnightly or monthly basis at a discounted hourly rate. During this time we preform ultrasound fertility examinations on cows and implement farm-specific breeding programs to optimise insemination and pregnancy rates. We also use the time to proactively monitor farm performance data with an emphasis on disease prevention. We use Interherd and a dairy-specific data analysis program called Total Vet to help us investigate herd disease or performance problems. We also use these programs to generate regular performance reports for your farm, dying-off lists with cow-specific tube recommendations, calving lists, vet lists and herd health reports suitable for red tractor accreditation as required. For dairies not running their own Interherd or farm recording software we run a free-of-charge bureau service whereby we can regularly input your paper/diary records into our own Interherd and Total vet programs, enabling all reports listed above to be produced for your herd as and when required. Two of our vets have received additional training in mastitis control and are deliverers of the DairyCo Mastitis Plan. 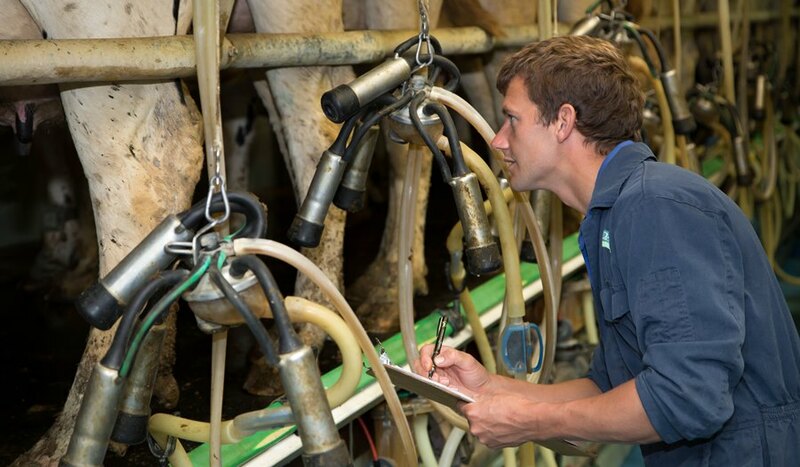 We have performed a number of mastitis, cell count and bactoscan investigations on farms over the years; we start by analysing milk records, mastitis data and bacteriology results from individual cow and bulk tank samples to identify where the main problem is arising (e.g. dry period / parlour / summer grazing / etc), and then follow this up with a farm and parlour visit to establish the few practical changes that can be made which are likely to have the biggest impact on reducing the problem. This tried and tested approach has helped to bring about marked improvements when needed, with the majority of our dairies comfortably achieving their mastitis and cell count targets. We strongly promote the use of fortnightly mobility scoring on our dairies with immediate action taken being taken for any lame cows identified, as this approach has been shown to dramatically reduce herd lameness incidence. We can train staff to perform their own mobility scoring or we can score your herd for just £50 a time. After promptly treating any lame cows identified we then build a picture of the main lesions causing lameness on your farm (e.g. digital dermatitis, sole ulcers, white line disease, etc) and most importantly can then advise and help to implement preventative strategies. We are pleased to have recently purchased a mobile electric foot-trimming crush which we can bring out to your farm enabling us to safely and efficiently treat lame cows and trim bulls feet. Please speak to us at the surgery for prices for this service. 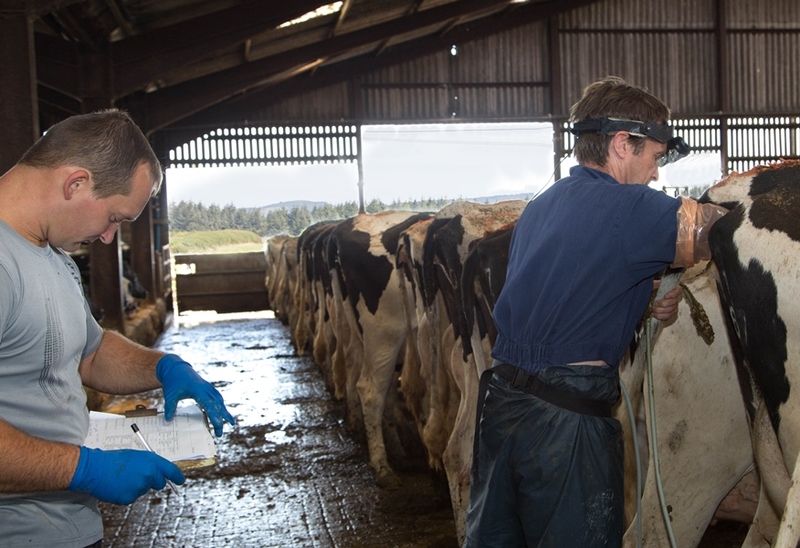 We use a combination of regular bulk and individual milk testing, blood testing and "Tag and Testing" to continually monitor and investigate the status of diseases like BVD, Leptospirosis, IBR, Johnes and Neospora in your herd. This way we can quickly react to disease incursions with eradication or vaccination programs as appropriate. A number of diagnostic tests can be run on samples in our own surgery for immediate or same-day results; such tests include blood calcium/magnesium/phosphorus results for downer cows, scour tests on calves, and worm/cocci/fluke egg results on faecal samples. 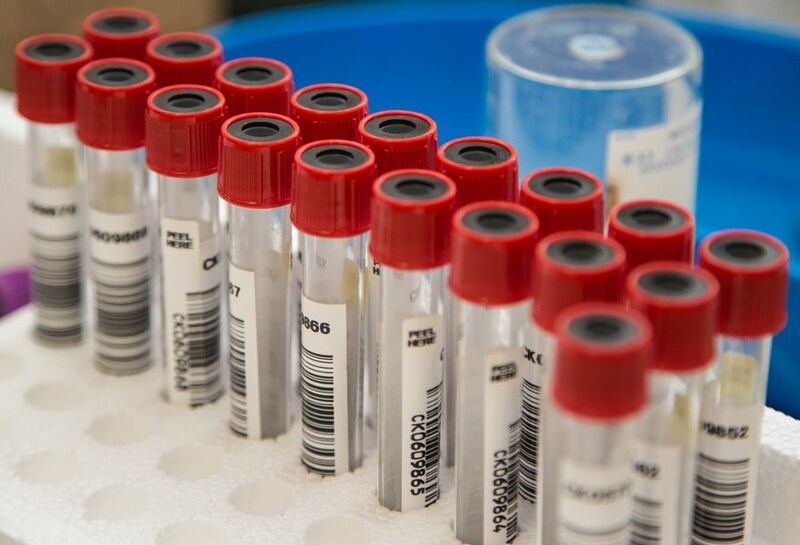 We also use a number of external laboratories for serological disease testing and microbiology etc, with results usually available within 2-7 working days. Post-mortems are useful in cases of unexplained death or to collect samples. We offer a cost-effective post-mortem service which can either be performed on-farm, at the local hunt kennels for animals under 4 years of age, or at Frome Vale for animals over 4 years of age. Through our own research initiatives looking at factors affecting calf growth rates and recent work alongside the Royal Veterinary College involving Fever Tags we have developed some very effective calf rearing protocols on our farms. With the latest research findings at our fingertips we are well placed to advise on all aspects from colostrum feeding right through to heifer breeding, our focus always on maximising growth rates, reducing disease and ultimately bringing productive heifers into your herd as early as the system allows. We are well placed to assess how cows are responding to rations using metabolic profiles, rumen pH taps, assessment of milk qualities, faecal sieving, cudding rates and body condition scoring. We can also assess the ration itself using Penn-State sieving, "wet chemistry" laboratory analysis, forage dry matter and pH measurements. 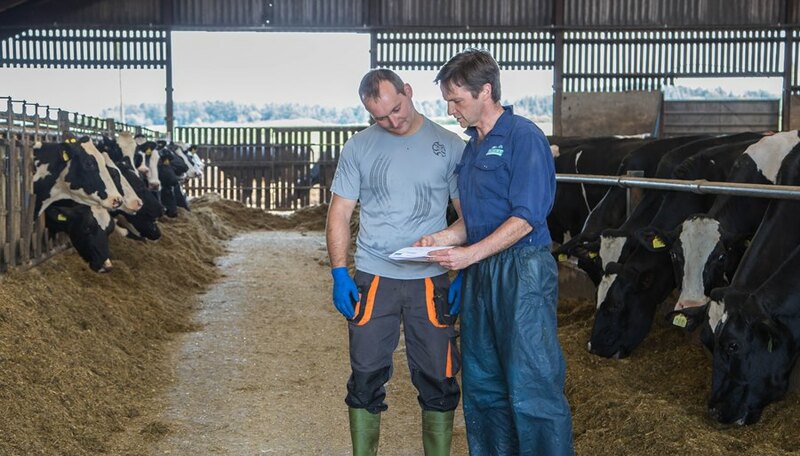 We work very closely with our farmers and their nutritional advisers to achieve optimum rations. 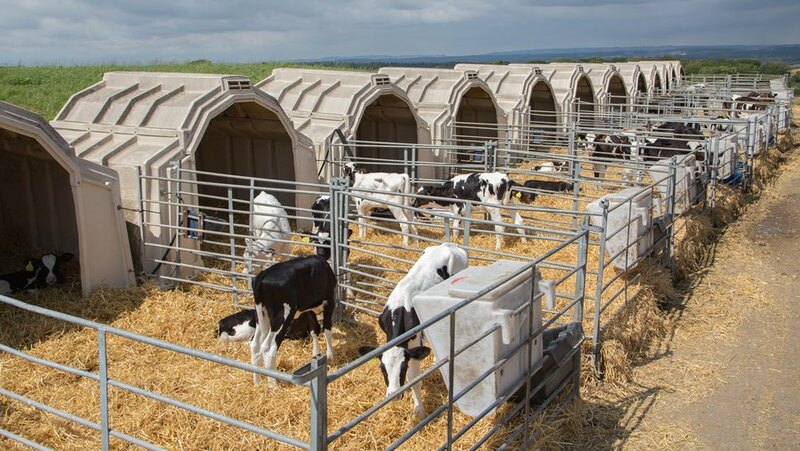 Cow comfort, feed space, access to water, ventilation and lighting are critically important and often the limiting factors to optimum herd performance. 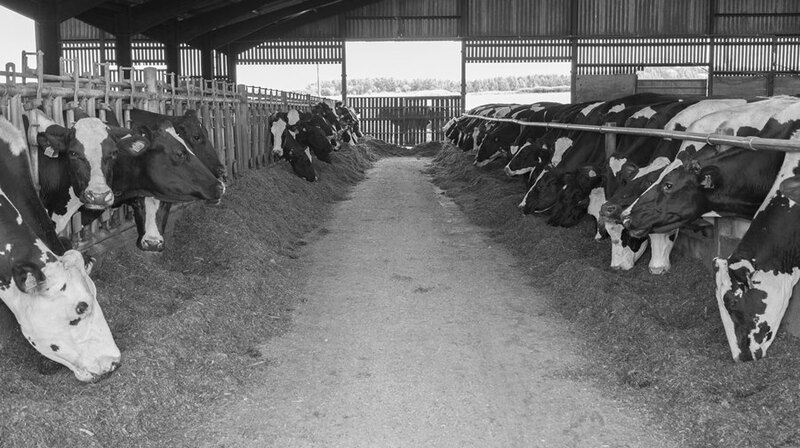 We can offer un-biased advice on all aspects of cattle housing, groupings and stocking rates. All our medicines are bought through a buying group enabling us to sell them at very competitive prices. We are committed to using antibiotics and wormers responsibly and are always looking for ways to reduce the need for these drugs on your farm. We urge clients to always call us for advice before buying worming or flukicide products from retailers as in many cases an alternative, sometimes cheaper, product may be more suitable for your situation, or treatment may not be necessary at all. 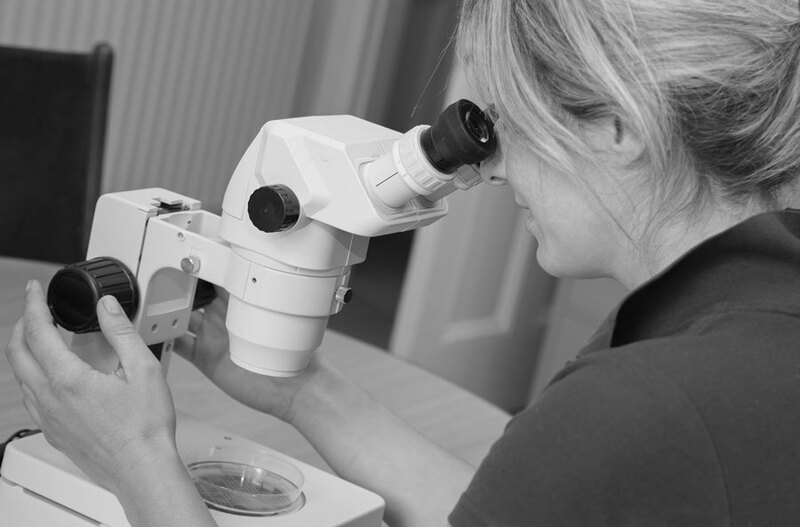 We are pleased to now offer our own embryo flushing and implantation service. Ian Patton, one of our farm vet partners, has taken on additional training in embryo transfer and we now have the equipment and expertise to offer this exciting and progressive service. Please speak to Ian at the surgery for prices and for more information on how embryo transfer could benefit your business. Each year we run practical courses on artificial insemination, foot trimming, mobility scoring, calving techniques, medicine administration, etc. Our courses have a high tutor to delegate ratio and certificates of competence are issued to attendees. Please contact us if there is a specific course you would like us to run, which can include a bespoke on-farm workshop for your staff. "Shame there are not six stars!"